I’m working with Bonnie to organize flame tending activities for those of us in that group during Wellspring this weekend. 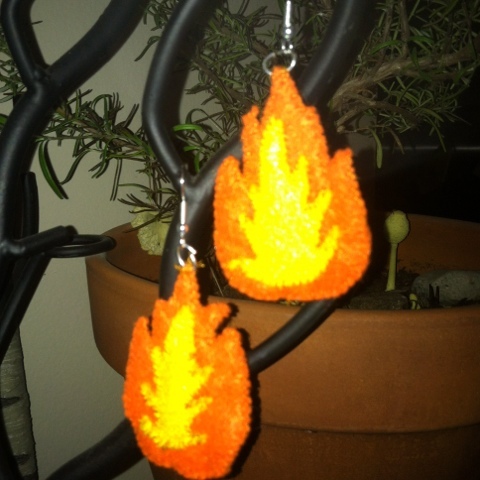 I asked for flame keepers to wear a bit of orange which inspired me to make these felt earrings. Just finished tonight! Now, off to work on the doll for the artisan competition! Awwww! How cute! You should do vending in a Farmers Market or something. Thank you! I actually do vend every so often in craft shows. I’ll be selling at a local Renaissance Festival next month!